News TV Channel / INews TV is a national terrestrial private television station in Indonesia. INews TV was founded by Media Nusantara Citra. 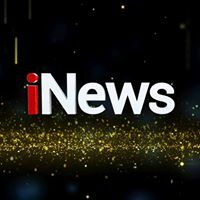 INews TV broadcast time is 24 hours a day. iNews TV (Indonesia News TV) was first broadcast in 2007 when the name was SUN TV. At that time, the broadcast can not be captured by terrestrial and just can be watched via Indovision, OkeVision, and Top TV. During its development, SUN TV airing terrestrial as a local television after building several relay stations in Jakarta, Bogor, Depok, Tangerang and Bekasi. The channel in the cities named TV3 which originally only airing an infomercial in between the empty time. While its parent channel, SUN TV remain broadcast qualified programs for SUN TV viewers in Indovision, OkeVision, and Top TV. SUN TV is also the first local television in Indonesia, which broadcasts for 24 hours. Unfortunately, in 2010, TV3 break with SUN TV and taken ownership by CTV Banten.